In the first year after my retirement from international xc racing, I’m getting back to the type of challenge that got me into mountain biking in the first place. 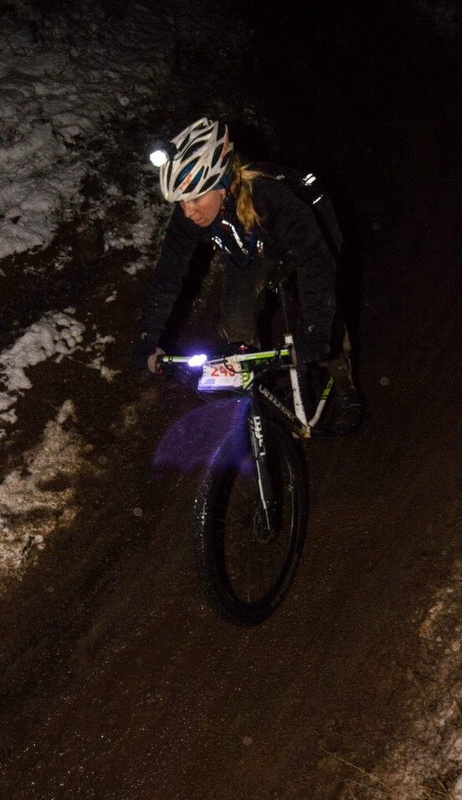 The 2015 Strathpuffer was first on the bucket list for the year of "fun racing". As my first ever sponsor, Square Wheels bike shop (who gave birth to the Strathpuffer in 2005) have a lot to answer for. It was in these very woods I entered my first ever xc race and with the support and encouragement of Square Wheels that I hopped on the conveyor belt that would eventually launch a pro career. Eh… thanks? 8 of us (4 pairs) set up camp together for the ‘Puffer and were supported by OrangeFoxBikes and some wonderful friends who stayed up throughout the night spoon feeding us (literally in my case) and maintaining our bikes. David Jones, my long suffering partner, and I banged out lap after gruelling lap in muddy, icy conditions (I realise I make it sound like less fun that it was). I discovered there is no low point that cannot be nullified by Penny Philips flapjack and that eventually the discomfort felt in your chamois plateaus. These are lessons for life. David and I are very pleased with ourselves this morning. I feel excited that 2015 is going to continue in this vein. 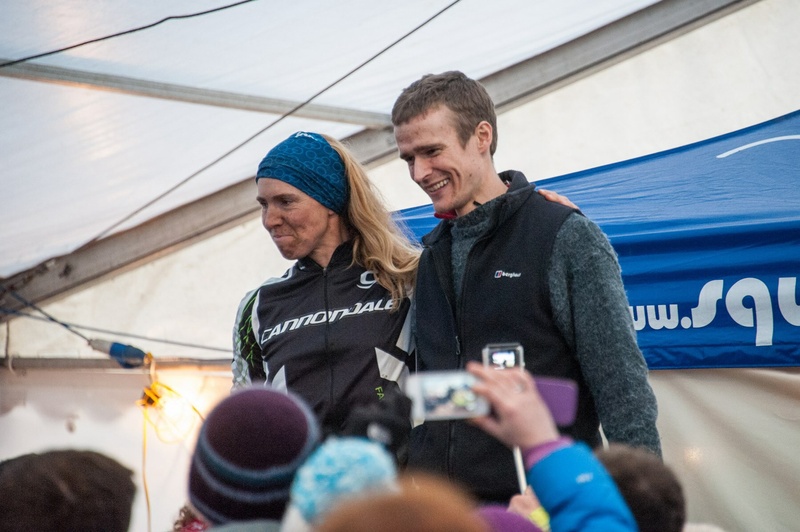 There are more adventure challenges like this one that I’ll be undertaking this year but it is fitting that my first one was a successful Strathpuffer.